Board index » Need Help? Let us know below! 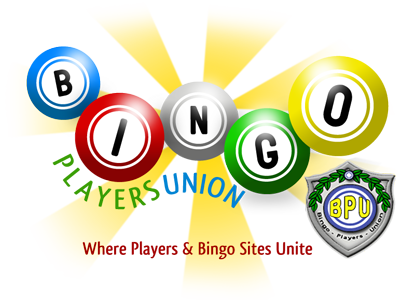 » Savvy Bingo Players Resource Center * Members Only Area! Know how to calculate your playthrough! Doing this, you should not get any surprises when or if you decide to do a withdrawal. Using the following information we will help you to calculate playthrough on a $50 deposit receiving 260% deposit bonus. 1.If you play Bingo, you must wager your bonus 7 times before you can withdrawal funds. 2.If you play (or mostly play) casino games (Scratch Cards, Video Poker or Slots) you will need to wager your bonus at least 15 times before you can withdrawal. 3.Members that haven’t made a deposit on the site won’t be able to withdrawal. This means the free bonus will be playable only and it has to be used within 30 days. After this period of time, balances can be removed at any time. If you deposit $50 and receive 260% bonus you will have to wager $910.00 before requesting a withdrawal according to the rules above. Know your bingo site! Read the rules at least twice a week if not more! All sites have a disclaimer allowing them to change the rules at their sole descretion, meaning they are NOT required to make any announcements to their players. ETHICS tell me that when a site does not make public these changes, we should wonder why. It is so important for we the players to check out the rules and withdrawal requirements, I checked out a few sites and for this post we will use the above calculations and leave it up to our members and guests to decide what is the best for them and above all do the math before you decide to play and hopefully withdraw. As you can see by these posts it is so very important to check out the wagering requirements on any site you are going to play at as what you think is not always what you get. We have only done the playthru required for those that just play Bingo but please whatever you do also check out what the withdrawal requirements are if you play bingo +slots, don't be caught with your pants down, know what is required of you.